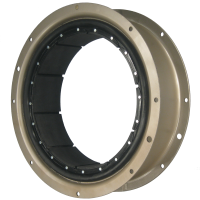 Our clutches and component parts are usually immediately available from stock. Normally we can remanufacture a clutch in three working days after we receive it. The petroleum industry is involved in the global processes of exploration, extraction, refining, transporting, and marketing petroleum products. The largest volume products of the industry are fuel oil and gasoline, both important primary energy sources. Petroleum is also the raw material for many chemical products, including pharmaceuticals, solvents, fertilizers, pesticides, and plastics. The industry is usually divided into three major components: upstream, midstream and downstream. Midstream operations are usually included in the downstream category. Petroleum is vital to many industries, and is of importance to the maintenance of industrialized civilization itself, and thus is critical concern to many nations. Oil accounts for a large percentage of the world's energy consumption. The production, distribution, refining, and retailing of petroleum taken as a whole represent the single largest industry in terms of dollar value on earth. 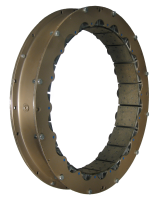 Pneu&dash;Grip was the first clutch specifically designed for drilling applications including engine clutches, pump clutches, master and drum clutches an inertia brakes.